Prepare frozen loaded potato skins according to package instructions. 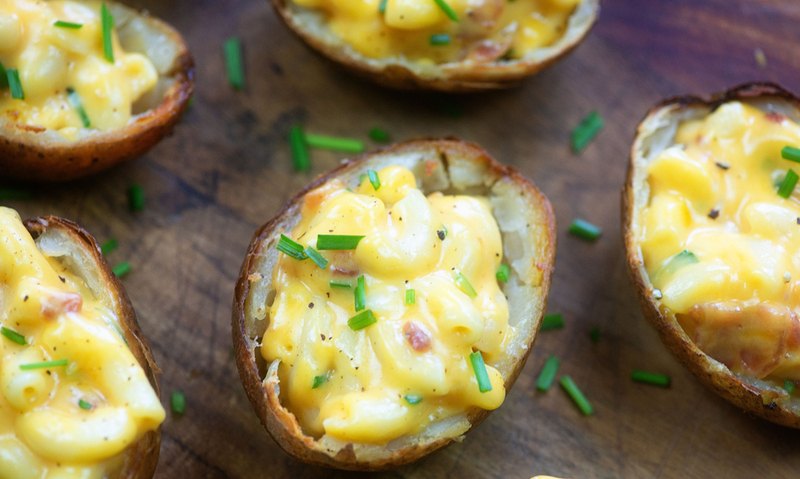 Carefully remove frozen loaded potato skins from the oven and set aside. 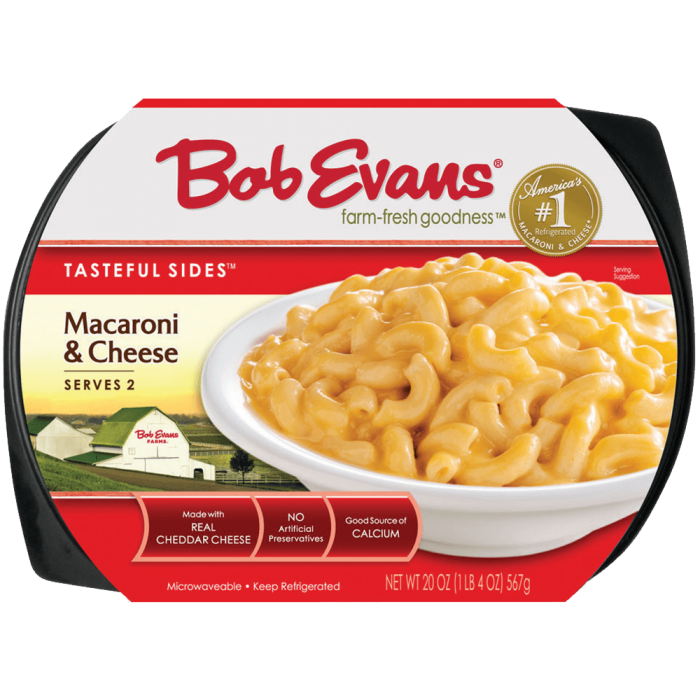 Microwave the Bob Evans Macaroni and Cheese according to package instructions. Stir the chopped green onions into the macaroni and cheese and stir until combined. Carefully fill the potato skins with the Bob Evans Macaroni and Cheese. Sprinkle with cracked pepper. 1 Prepare frozen loaded potato skins according to package instructions. 2 Carefully remove frozen loaded potato skins from the oven and set aside. 3 Microwave the Bob Evans Macaroni and Cheese according to package instructions. 4 Stir the chopped green onions into the macaroni and cheese and stir until combined. 5 Carefully fill the potato skins with the Bob Evans Macaroni and Cheese. Sprinkle with cracked pepper.